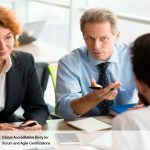 As with other certifications such as ITIL, PRINCE2 or PMP, SCRUM can also be described as an additional way in which organizations can achieve their goal of providing the best services or products to their customers. A new service which has to be designed or modification of an existing service can be termed as projects by organizations. But these so-called projects can become restrained due to shortage of time, resources, financial cost, and various challenges which can make an organization vulnerable to improper planning, execution, management and succession of projects. Organizations have henceforth formulated different methodologies for proper project management. 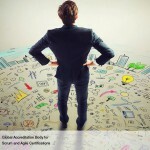 As with ITIL, Scrum has become one of the most sought-after methodologies to be implemented for success of a project. One of the advantages of Scrum is that it ensures transparency for communication where the conversation becomes easy for collective accountability and consistent progress. Every methodology will have a special feature by which the challenges related to a project can be met. 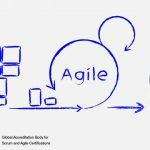 The benefits of Scrum are the usage of self-empowered, well-organized and across-department teams who can divide a project into little work cycles known popularly as Sprints. Similar to the beginning of any project, the Scrum cycle also begins via a stakeholder meeting in which the details are explained to the delegate called as “Project Vision.” A Prioritized Product Backlog is then designed and developed by the Product Owner. The Backlog consists of a list of project and business requirements according to their priorities in the formula of user stories. A Sprint is usually begun with a “Sprint Planning Meeting” and during the discussion high priority issues and stories will be included in the sprint. 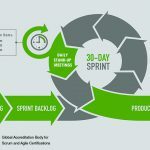 The time-limit of a Sprint will be between one and six weeks and will involve the Scrum team. The highlights of the meeting will be the short, to-the-point stand-up meetings which will be conducted and the SCRUM team will discuss the daily progress of the project. When the time-limit is concluded, a Sprint review meeting is conducted and the Product Owner and concerned stakeholders will be provided updates and demonstrations regarding the Deliverables. The Product Owner has the option to accept the Deliverables provided they meet the accepted criteria or reject it if they do not meet the concerned guidelines. The conclusion of the Sprint Cycle is the “Retrospect Sprint Meeting” in which the team suggests ways on improving the processes and their performance in moving forward into the subsequent Sprint. 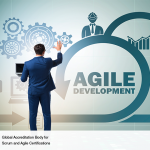 Organizations that have used Scrum in their projects, vouch for its many benefits, some of them, adaptability, transparency, continuous improvement, motivation, faster problem resolution, and innovative environment. I’ve been surfing on-line greater than three hours lately, but I never discovered any attention-grabbing article like yours. It is lovely value enough for me.